The World Geocoding service has been updated so you can now perform geocoding in China. There is improved geocoding quality for more than 30 countries, including Czech Republic, Denmark, Israel, Liechtenstein, Poland, Slovakia, and Switzerland.Esri has expanded the World Network Analysis services to be available for Japan and added support for driving directions in Lithuanian, Polish, and Portuguese. The closest facility service, which is used to find the nearest location from one or more locations based on travel time or travel distance, now supports the solving of large problems with an asynchronous execution mode. An administrator can now see usage reports for geographic context and demographics. Administrators now have the ability to change the organization’s region. Region now determines the units of measurement on the map viewer scale bar, measure tool, and directions tool. The Create Editable Layers in the map viewer is now called Add Map Notes. 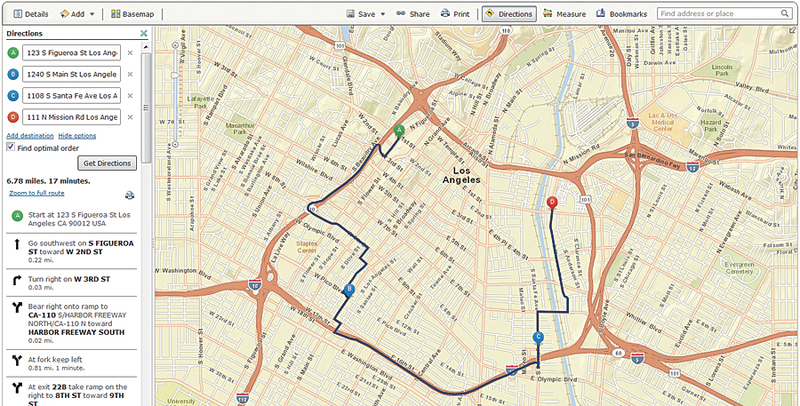 Adding a map notes layer lets you add your own data directly to the web map, and it’s also stored in the map. But only the map’s author can edit the layer. The World Street Map was also recently updated with community content for Ghana from 1:577,000 to 1:1,000 scale by Ghana Water Company Limited and Esri’s distributor in Ghana, SAMBUS Company Ltd., GIS/GPS Section & Spatial Solution & Services. Coverage for India was updated from 1:288,000 to 1:144,000 scale, and new coverage was added from 1:72,000 to 1:1,000 scale using commercial data from DeLorme and NAVTEQ. If your organization doesn’t have an ArcGIS Online subscription yet, sign up for a free 30-day trial. You can invite up to five named users to participate in the trial, and you get 200 service credits and these apps as part of your trial: Collector for ArcGIS, Operations Dashboard for ArcGIS, and Esri Maps for Office. Once your trial is over, purchase a subscription and continue to use all the features and services in the same ArcGIS Online subscription account. Sign up for the trial now.